Always dreamed of taking care of a vineyard and making your own wine? Well, come and join our city vineyard, De Haagse stadswijngaard! 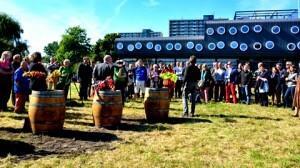 Using a piece of derelict land in the middle of the city we created a unique vineyard in The Hague. 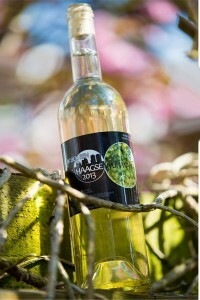 The passion for grapes and The Hague unites us. We invite you to join us and grow your own grapes. 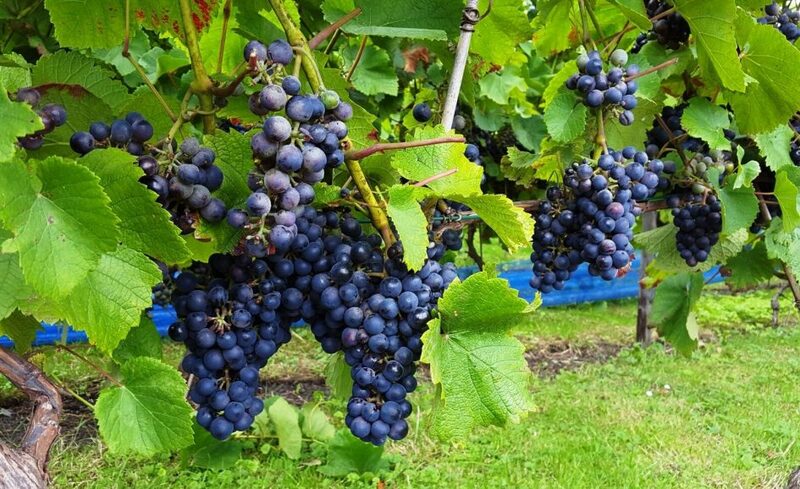 This means that you can grow, prune and harvest your own grapes. Together with other participants and winemaker Tycho Vermeulen you will discover how to become a true The Hague Wine Grower, with a certificate as lasting proof. We will manage the vineyard side by side, enjoying each other’s company and learning from each other. With your grapes you can join in a wine-making course or let the professional turn your grapes into wine. And of course you can also enjoy the grapes just as they’re ready to eat. Throughout the year there will be plenty of opportunities to sample the wine and participate in the vineyard or just to hang out. With this vineyard we will further liven-up the city, enjoy fellowship and feast on the product of our own harvest – all at City Vineyard The Hague. Check our Facebookpage and Instagram account. Like, share en tag! Ik heb je net in de auto gehoord op 538 over de stadswijngaard, wat een leuk initiatief en nog wel bij mij om de hoek. Ik woon zelf op de genestetlaan in het laakkwartier. Zelf heb ik 4 jaar bij een wijnimporteur gewerkt, ik mag derhalve graag een glas wijn drinken. Zo ben ik samen met collega’s in de moezel geweest om zelf druiven te plukken, een fantastische ervaring. Ik zal zeker jullie supporten via de crowdfunding maar wil hiernaast ook evt. benodigde fysieke hulp aanbieden bij het realiseren van de wijngaard mocht dit benodigd zijn. Veel succes met de opstart en mocht ik kunnen helpen dan hoor ik dit graag van je.